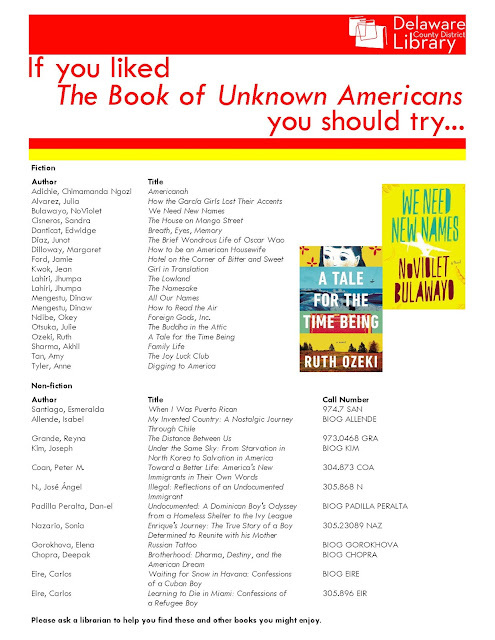 Frequently at the Delaware County District Library, we are asked to offer our reading recommendations based on other books you loved. 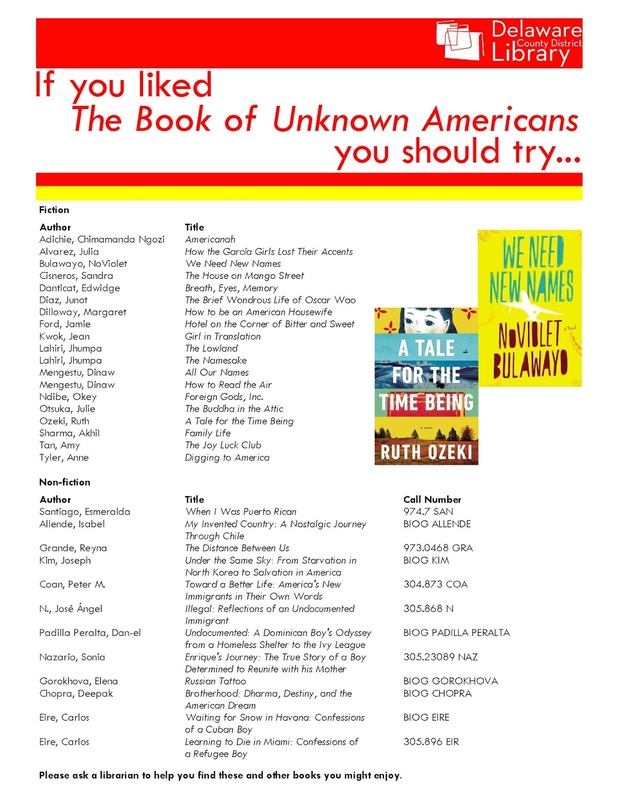 So, if you've already read our chosen DelawaREADS title, The Book of Unknown Americans, here are some other titles that you might give a try. If you've read any already, let us know what you think in the comments!